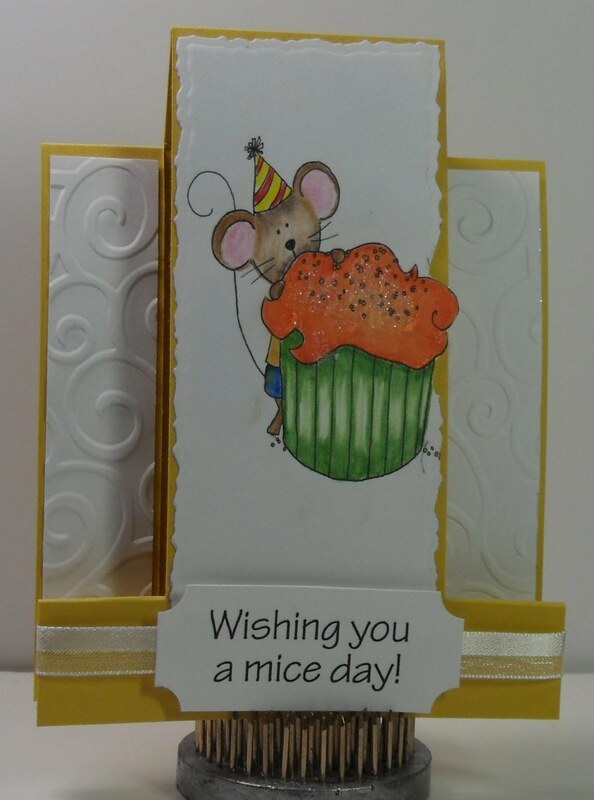 Girlia's Cards: Have a Mice Day! 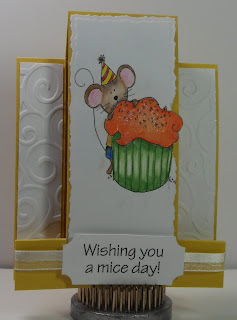 Today I am posting this card into the progressive challenge over at Designed 2 Delight! I hope you like this card. I must admit I truly enjoy coloring the images that the designer creates. It is truly fun. Mice/nice card. Want to know how this card is assembled? I'm not sure how pieces make up this wonderful card & would like to know some details. So sweet! Great embossing ! Your card is so cute even though it has a mouse on it. And I have a fear of having a mouse in the house. Mice card Gloria, I love it!!! Great job my friend!!! Your coloring is amazing!! Wonderful job, and a beautiful card! Girlia, you make the most adorable cards -- this one is just so cute!!! And, I just love your coloring!!! Thanks for always stopping by and leaving me such wonderful comments! This is such a cute card. Thank you for always visiting my blog. You're such an inspiration! Cute card - love the shape! Thanks for playing at Designed 2 Delight! Cute card, love the style! Very cute! Love the design - would love some details on how you put it together. Love the design and your coloring is wonderful! Wonderful card design and great job on the coloring! your cards are always a big wow, your work is beautiful. this is totally sweet, cute image...hope your day is awesome! Nice job on the coloring. Your card is super.